Welcome to MoRobinBarrystories.com! Please join me on twitter @morobinbarry. 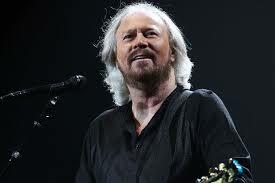 This blog is for Bee Gee fans everywhere who would like to share a story of joy, fun, love or inspiration for Barry, Robin or Maurice Gibb. (Andy is not forgotten and is included at times). If you’d like to share a story, please email it to me at morobinbarrystories@gmail.com. Stories will be posted weekly, some from my collected tales and some new ones as they come in. Others I will save for my book, which is in progress. With all the excitement about U.S. concert tickets going on sale, I decided to post a story from a great guy “down under” who wrote to me about his experience with Barry when the Mythology tour started in Australia a year ago. It’s short and poignant and it’s going in my book, but I thought it right to share it now with everyone. WOW…………what a wonderful experience. I’d probably faint away and miss everything if I’d been in your position.. I think Adam nearly did faint! He relives it over and over…what a great experience.